I took test drive of Hyundai Verna, Honda City, Chevrolet Optra, Tata Manza and Maruti SX4 and every car has something good to offer but one sure winner who has captured well the strong points of all the competitors is Maruti SX4. Maruti has tried immensely well to capture Honda’s soft steering and agile pickup, Tata durability, Hyundai’s style and Chevrolet’s class and smartness and all of them at a price which is 60000 to 90000 less. I am 45 and driving is always been my passion. I drove like 20 different cars in my entire life and have five of them in my shed. Maruti’s SX4 is my latest addition. Car looks like a muscular wrestler at the first glance. Exteriors are very beautifully designed, front looks very bold and the big rear light gives a stunning rear look. Tyres are much broader than any other sedan and provides amazing grip even on the very uneven roads. Engine is silent and powerful and makes me feel like a sports car driver. Interiors are very spacious especially the front. Backside is slightly cramped but is good and comfortable. A/c runs very well. Boot space provided is the biggest in all sedans. Steering mounted audio controls, very soft gear shift, fluffy pedals and powerful engine is a deadly combination and rides my mood on every time I touch the steering, even at full load car runs very smooth and fast. Taking sharp turns is very easy and overtaking on highways delights me a lot, a slide pedal press increases the speed from 80 to 130 gives me a “WOW” feeling. Mileage is slightly less but for a high end driving excitement a kilometer or two can be compromised. 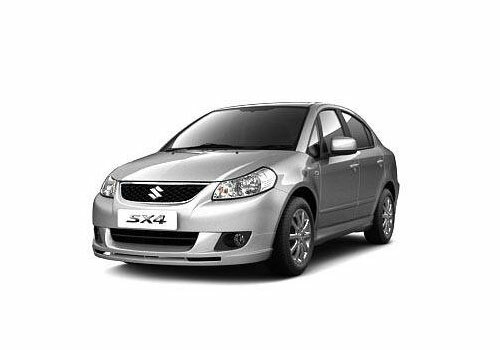 I Can say Maruti SX4 ZXI is equipped with excellent features and impressive mileage.